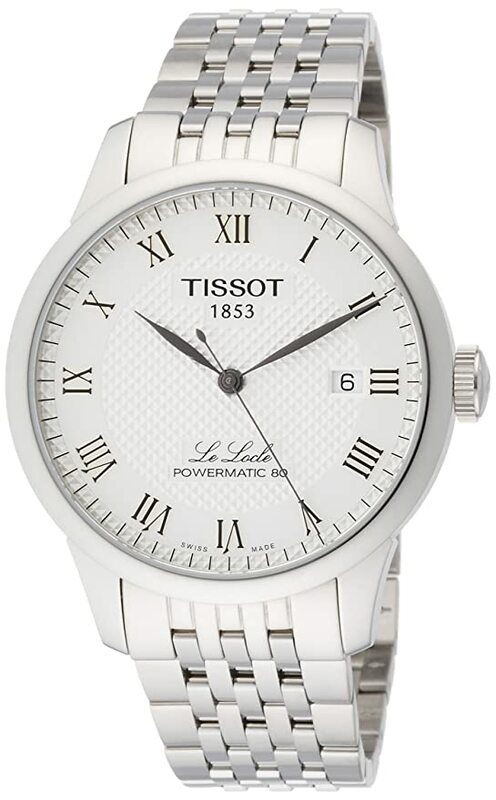 Irrespective of whether you’re a watch enthusiast or not, chances are you’ve heard of Tissot. This legendary Swiss brand has a history spanning over a hundred and fifty years and is definitely one of the most widely acclaimed watchmakers to have blessed the industry. Personally, Tissot has always been one of my all-time favorite brands thanks to their outstanding quality watches. I’d even go on to say that Tissot is right at the top of my list when it comes down to reliability and technological expertise. They are responsible for some of the most revolutionary innovations in the watchmaking industry, and their modern watches are some of the most unique and high-tech timepieces that you grab hold of at a reasonable price. So if you’re in search of a premium timepiece that ingrains innovation with tradition, Tissot is the brand to go for! From its inception in a small town in Switzerland, Tissot has reached the pinnacle of excellence in watchmaking with a presence in over 150 countries. They have a worldwide appeal with dozens of international events being sponsored by them and a huge list of prominent personalities endorsing the brand. They stay true to their signature “Innovator by Tradition” by producing some of the most hi-tech watches with advanced functionalities, special materials, and unique design. What makes everything better is the mid-price range that most of their timepieces come at. This makes premium grade Swiss watches more accessible to a bigger portion of the population. In my years of experience as a watchmaker, I’ve come across very few Swiss brands that offer such an excellent lineup of premium timepieces at such a competitive price range. Today, Tissot is a member of the largest watch producing and distributing organization – the Swatch Group. 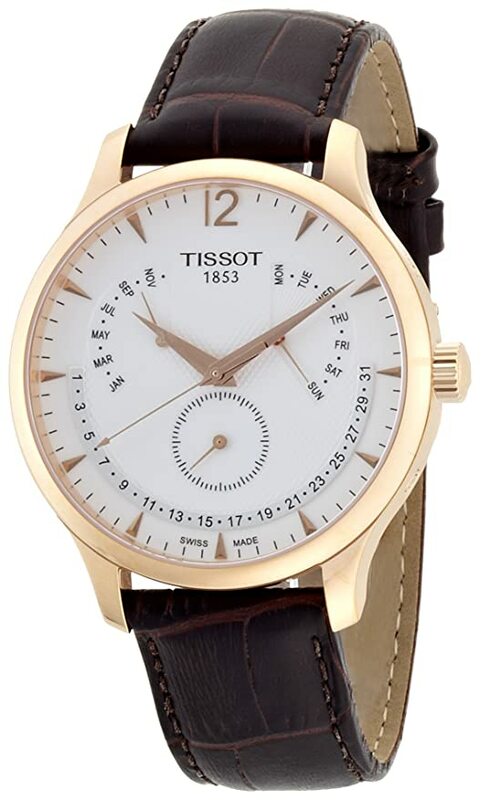 Tissot was founded by a man named Charles-Félicien Tissot and his son, Charles-Émile Tisso, way back in 1853 in a small Swiss city called Le Locle. The brand was first established as a comptoird’etablissage, which meant that a network of independent craftsmen handcrafted the different parts of every timepiece. They were later brought together and assembled for sale by the company. Initially, Tissot’s timepieces were mostly pocket, complication or pendant watches that were primarily shipped to the United States. By the early 1920s, the brand was shipping their premium timepieces to Russia, with several Russian Czars being faithful customers of the brand. With the brand being in the industry for over a century, they have successfully managed to perfect their art and produce some of the finest quality watches in recent times. I have quite a few of Tissot’s premium watches in my collection, both in the upper end of the pricing spectrum as well as the in mid-range. And from what I observed, the best of the brand’s watches employ the same top-quality movement that you’d find in some of the high-end brands such as Patek Philippe and Rolex. That’s the thing I love about Tissot the most; they don’t compromise on quality all that much while still offering their timepieces at a decently affordable price. I browsed through the brand’s catalog for hours, taking the time to research some of the models that I don’t possess and noticed that most of their premium range of watches use sapphire crystals which make them extremely durable and scratch resistant. While Tissot’s watches do have a classy and formal appeal to them, they are much better suited and appropriate as sports/adventure timepieces, rather than something you’d wear to a party full of the suit and tie crowd. They have an impressive lineup of analogs and chronographs that are sure to catch the eyes wherever you wear them to. I decided to get myself the Tissot V8 Automatic which is a mechanical chronograph featuring the C01.211 movement. And honestly, I’ve never been more impressed with a sub-$1000 watch as I was with this one. There are also plenty of amazing options for the ladies that the brand rolled out recently such as PR100 Sports Chic and the Flamingo lineup of ladies’ wristwatches. Overall, I believe Tissot produces some of the most cost-effective yet high-quality premium grade timepieces out of all the mid-range brands in the market. And you should definitely take a look at their collection! This is a watch that I had picked up around a year back when I was browsing through Tissot’s catalog, looking for a leather-strap dress watch. The Tissot Visodate Heritage Automatic had my attention almost instantly because this watch was exactly what I was craving for – a classic, old-fashioned analog that screams elegance! 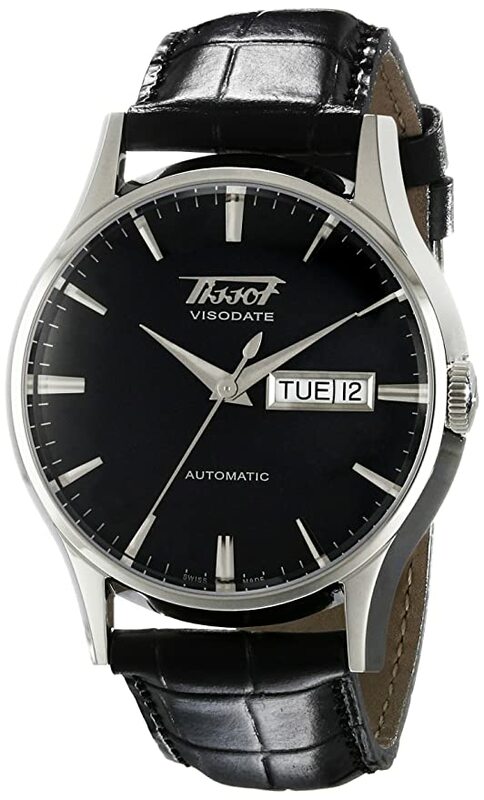 The dial of the Tissot Visodate has a very old-fashioned look with the vintage Tissot logo and the simple dauphin hands. The clean design combined with the arrow-shaped hour markers give off a strong vintage vibe that’s hard to find in most watches these days. 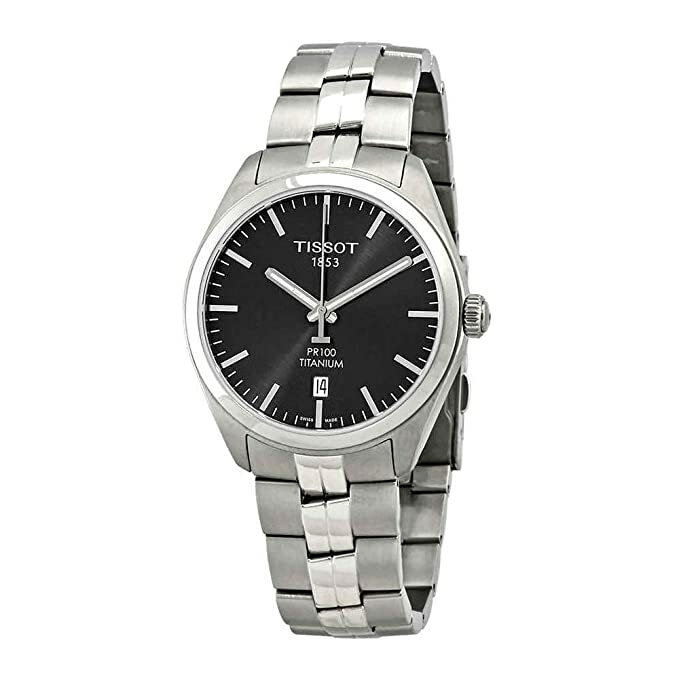 The stainless steel case of the Tissot Visodate has a 40mm diameter, which I believe is a perfectly balanced size that can look good on wrists of all sizes. Furthermore, this watch comes with a scratch-resistant sapphire crystal and the ETA 2836-2 movement, two things that are somewhat hard to find in watches in this price range! Tissot’s Le Locle Series is one of their most popular range of watches, partly thanks to the Le Locle Chronometer which was pronounced to be the most accurate watch of 2012! I had the chance to test out the Tissot Le Locle Automatique Regulateur when I purchased the watch as a gift for my son’s high school graduation. Like most of Tissot’s mid-range watches, the Le Locle Automatique Regulateur didn’t disappoint a bit when it came to both aesthetics and quality. One feature that you will instantly notice on this model by Tissot is that the hour and hour hands of this watch are placed in two different vertically arranged set of dials. This means that as soon as the clock hits 12, all three hands will be perfectly aligned. The date window of these watches are placed in 9 o’clock position, and the Roman numeral markers featured in the dial provide a very classy character to the overall look of the watch! The Seastar Series of watches by Tissot is yet another insanely popular range by the brand, and also one of my personal favorites by Tissot! 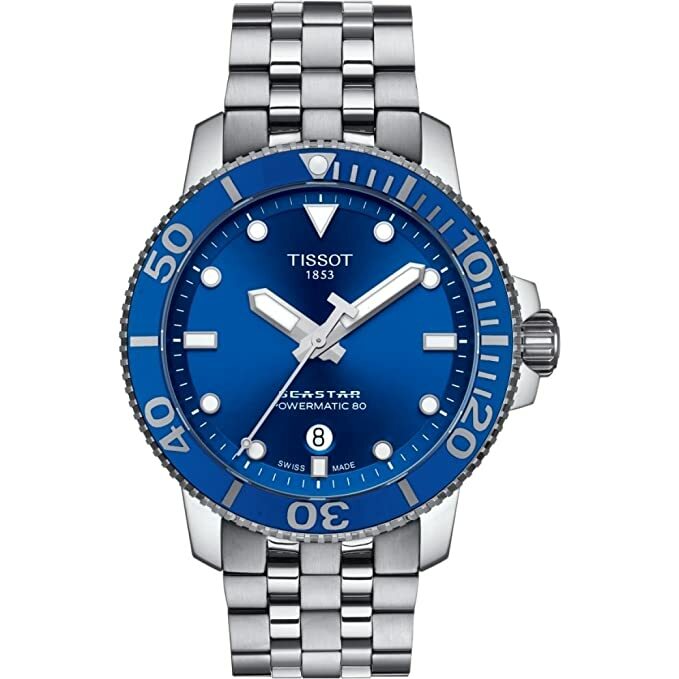 The Tissot Seastar 1000 Powermatic 80 is a watch that I have extensively used over the last couple of years, and given the price at which they come in – I’d say these are one of the most value-for-money watches out there in the market! The Seastar 1000 Powermatic features a mid-sized 42mm steel case, and being a diver watch, it comes with water-resistance up to a pressure of 300m/1000ft. The build quality is absolutely top-notch, featuring an anti-glare sapphire crystal on the steel case of the watch. The rubber strap of the watch is pretty durable, but I feel it falls short when it comes to aesthetics. The Seastar Series watches feature the Powermatic 80 Automatic movement which is basically a much more improved version of the ETA 2824 movement. It is incredibly accurate and features a massive 80-hour power reserve. Tissot is undoubtedly one of the best in the industry at what they do, but they do fall short in certain aspects that they can look to improve on. While the brand is almost unbeatable when it comes to the premium mid-range timepieces, I believe their focus on cost-minimization does hamper their overall service to an extent. Firstly, Tissot’s policy of a warranty repair before a warranty replacement can be quite frustrating sometimes, especially for those that have to send in their watches for multiple repairs within a short span of time. There have been multiple complaints from several buyers claiming their Tissot watches stopped working with a matter of 3 years. However, this is an issue restricted only to their Quartz movement watches and not with their automatics. This is not really an issue with their watches, but rather a word of caution. Tissot’s watches are some of the most widely counterfeited ones in the world, and it is of great importance that you purchase it from a reputed dealer. Amazon usually backs up their online purchases, so it is a good idea to get it from there. If a premium grade Swiss watch is what you’re looking for without having to spend over a grand, Tissot is your ultimate resort. Their lineup of fantastic chronographs and classy analogs are sure to fetch you a ton of compliments. 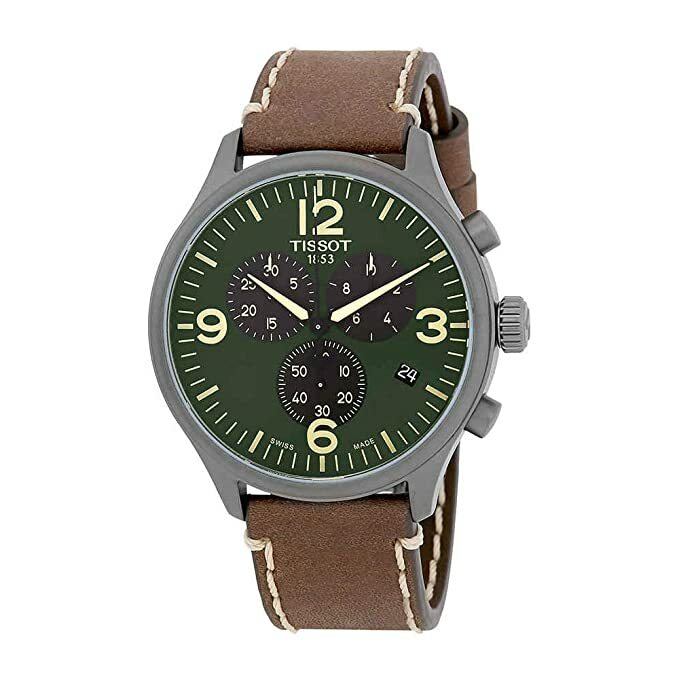 Besides, you can expect Tissot’s watches to last a long, long time thanks to their durable build and some unique lineup of features that you’d not find in most other brands at this price range! It has been a pleasure as always. Till next time!